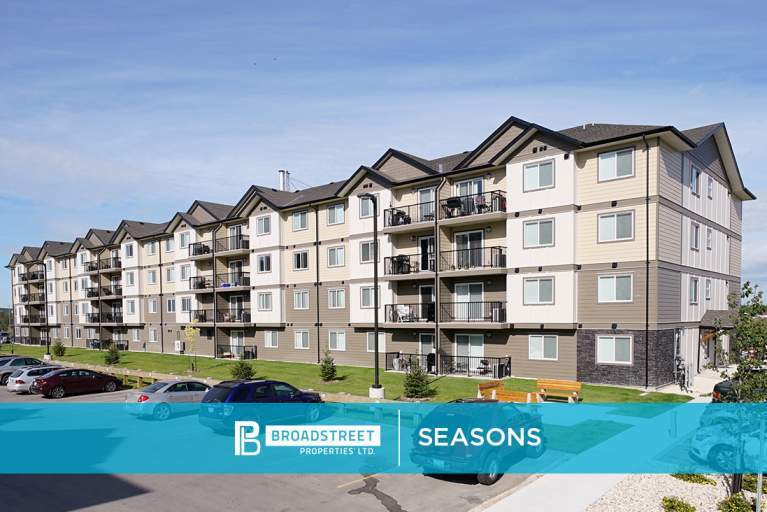 Broadstreet's Seasons offers 1, 2, and 3 bedroom pet friendly apartments on the southwest edge of Winnipeg. This modern apartment community is ideally located just 20 minutes from the city centre, placing the best dining and entertainment at your fingertips. Conveniently located off Kenaston Boulevard, Seasons is nearby the city's best shopping amenities, including IKEA, Cabela's, Costco, and the Outlet Collection of Winnipeg. For students attending classes at the University of Manitoba, the school is just a short drive away. At this fantastic location, you can experience the convenience of having a flexible lease, 24/7 client care, and on-site maintenance. We've thought of everything to ensure you're comfortable in your new home. If you're looking to spend some time in the great outdoors, make your way to Fort Whyte where you can enjoy nature trails, lakes, and outdoor recreation activities. Set amidst a natural landscape, the vibrant community of Seasons is a beautiful place to call home.